Check out the latest on the Cotopaxi Luzon Pack. I love this pack and it has been a lifesaver during my recovery of my broken leg. Bottle not sweating with cold liquids. 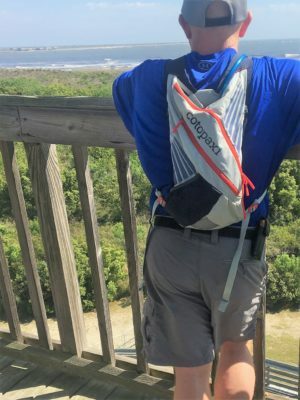 I used the Cotopaxi Bangladesh Water Bottle for the past month: at home, in the car, around town, at the beach, and at a lake. This bottle is great for many reasons. 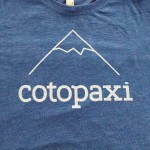 Check out the latest update on the Cotopaxi Peak T-Shirt. This t-shirt is stylish, lightweight, and is holding up well. Look at my update here. The Cotopaxi Women’s Peak T-Shirt has a fitted design, scooped neck, and short sleeves. 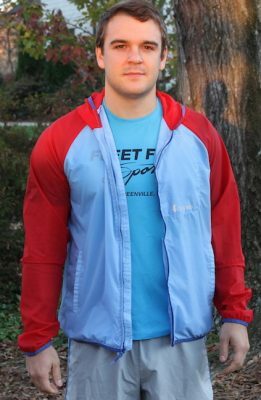 The shirt is a striking blue color that has a washed/faded look. 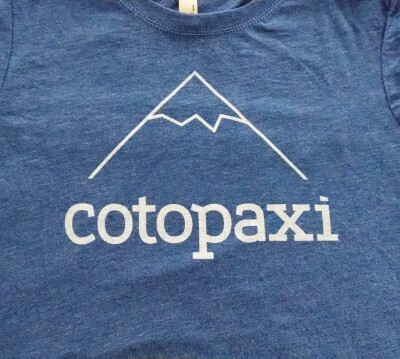 There is a peak graphic and the Cotopaxi name on the t-shirt. 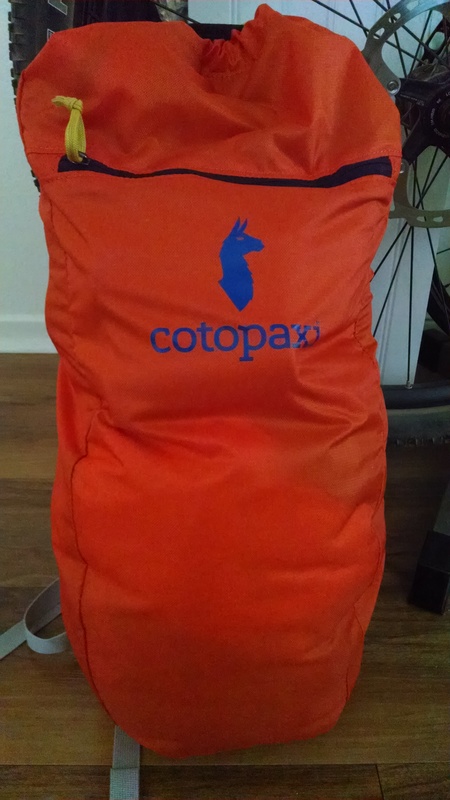 The peak design is the Cotopaxi namesake which is the Cotopaxi volcano in Ecuador. However, that is not all. Read more here.